This past weekend members of Ottawa’s Rideau Valley Vixens attended the first-ever Women’s Flat Track Roller Derby Association (WFTDA) playoff tournament held outside the US and dominated the weekend, squeaking out a thrilling three-point victory in the final jam against a team from Berlin. The Vixens’ victory is the first time a Canadian team has won a divisional championship and makes the Vixens the first Canadian team to advance to the WFTDA finals. The tournament was one of two this month that pitted 10 Division 2 teams against each other for a chance to compete for first place at the WFTDA championship finals in Nashville, Tennessee this October. Division 2 teams are WFTDA Charter teams ranked 40th to 60th; Division 1 are ranked 1st through 39th. The Vixens entered the tournament ranked 47th and were seeded 3rd for this tournament with a buy-in past the first round. The team played their first game of the playoffs on Friday, August 22 against the Boulder County Bombers (Colorado) with an impressive 239 to 130. They established a points-lead early in the game and never lost it. On Saturday night, they faced Gold Coast (Florida) and traded points to end the match 224 to 139. Sunday proved their toughest game and most unfamiliar challenger when they competed against Bear City of Berlin, Germany. Lead by star player (and eventual tournament MVP) Master Blaster, Bear City and the Vixens traded lead on a jam-per-jam basis with neither side ever gaining more than a 20-point lead (very narrow in roller derby) throughout the entire game. The heart-attack inducing final jam closed the game with a 243 to 240 win for the Vixens. “After the second half we knew we had to shut down Master Blaster and give her as little time on the track jamming as possible, so we ran the jams against Berlin’s other jammers as long as possible,” said the Vixens Co-Captain/Jammer Bonnie Bray aka Soul Rekker. With this win the Rideau Valley Vixens will advance to the Division 2 Finals at the WFTDA Championships in Nashville, Tennessee, to compete against the Detroit Derby Girls (Detroit, Michigan) at the end of October. Bear City (Berlin) also earned a spot and will compete in the D2 Third Place game against the Fabulous Sin City Rollergirls (Las Vegas, Nevada). The Vixens are the All-Star A-Team and WFTDA Charter team of the Rideau Valley Roller Girls. The skaters compete internationally and represent their league at WFTDA sanctioned games and tournaments. Formed in 2010, the Vixens have played teams primarily in the eastern United states travelling to Washington, D.C., Philadelphia, and Richmond, Virginia amongst other cities across North America. The Vixens maintain a roster of 14 with several members of Team Ontario and two players from this year’s Team Canada among their ranks. They are coached by Adam Tasanko and train with the league, as a team, and individually in the sport that they love. 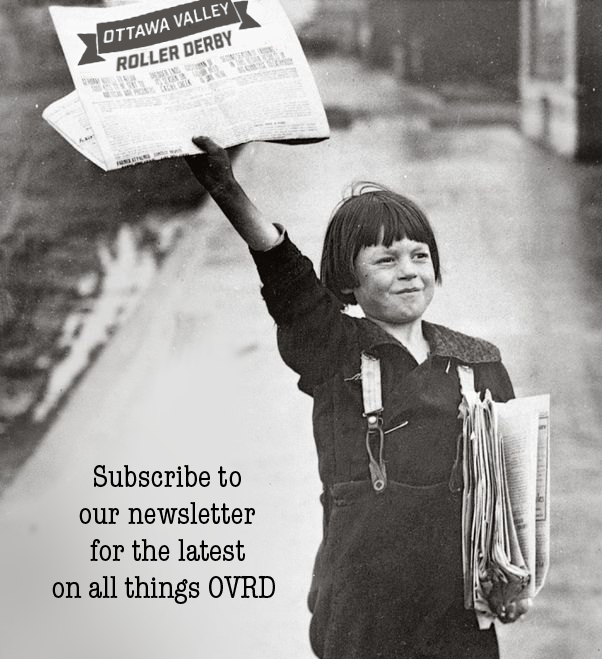 The Rideau Valley Roller Girls (RVRG) is a competitive level, non-profit, women’s flat-track roller derby league based in Ottawa. It is a collective that is run by the members, for the members with a focus on athleticism. 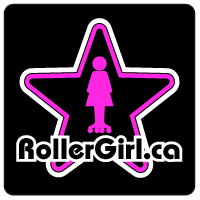 RVRG gained not-for-profit status in October 2008 and became a full WFTDA member in June 2012. RVRG has three home teams, the Slaughter Daughters, the Riot Squad, and the Prime Sinisters, and two all-star teams, the RVRG Vixens (WFTDA Charter A-team) and the Sirens (B-team). The league holds games for spectators during the home season of March through July, allowing the all-star teams to concentrate on tournaments and away games during the other months of the year. Roller derby is a full contact sport played by two teams of five members each on quad roller skates travelling in the same direction around a track. Game play consists of a series of short matchups (“jams”) in which both teams designate a scoring player (the “jammer”) who gains points by lapping members of the opposing team. The teams attempt to assist their own jammer while hindering the opposing jammer—in effect, playing both offense and defense simultaneously. The flat-track version of the sport evolved in 2001 and is now played by approximately 1250 amateur leagues worldwide. Setting up a flat track can be done on any flat surface that is suitable for skating, which greatly reduces the capital needed to start up a roller derby league. The DIY spirit that drives the sport allows roller derby leagues to adapt their structures to reflect their local communities. The Women’s Flat Track Derby Association is the international governing body for the sport of women’s flat track roller derby and a membership organization for leagues to collaborate and network. The WFTDA sets standards for rules, seasons, and safety, and determines guidelines for the national and international athletic competitions of member leagues. There are currently 260 WFTDA member leagues and 97 leagues in the WFTDA Apprentice program. This year the playoffs were seeded using an S-shaped seeding model with strict competitive parity. An S-curve seeding structure provides for an even distribution of top seeds at each tournament. This means the #1, #2, #3, and #4 ranked leagues each go to a different tournament, and each subsequent seed is distributed across tournaments following an S-shaped pattern until all of the top 40 teams in Division 1 are assigned. There is no shuffling or deviation from the seeding based on geographic location. D2 tournaments follow the same structure with the next 20 teams distributed across two tournaments. In 2013 WFTDA eliminated geography-based Region Playoffs and replaced them with four Division 1 Playoffs and two Division 2 Playoffs. Teams must meet regular season game play requirements to be eligible for Playoffs.